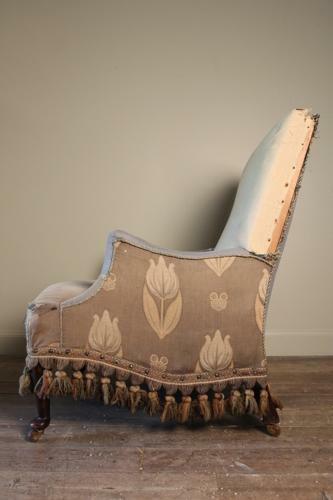 A beautiful 19th C Armchair for re-covering. Having the a high quality shapely frame. Raised on mahogany legs with pad feet and original castors. In need of a new top coat. English, Circa 1880.